Step into the secret dual life of Miley Stewart and Hannah Montana in Hannah Montana The Movie video game. 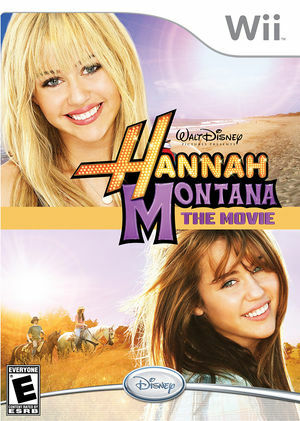 Join Hannah Montana and live the rockstar life while you get to know Miley Stewart and explore the world she left behind in Tennessee. Customize Hannah and Miley's wardrobes with outfits seen in the movie and more! Journey beyond the movie and kick-off hometown adventures to complete quests that unlock hit-songs, concert stages, exciting clothing and accessories. The graph below charts the compatibility with Hannah Montana: The Movie since Dolphin's 2.0 release, listing revisions only where a compatibility change occurred. This page was last edited on 18 January 2018, at 00:41.